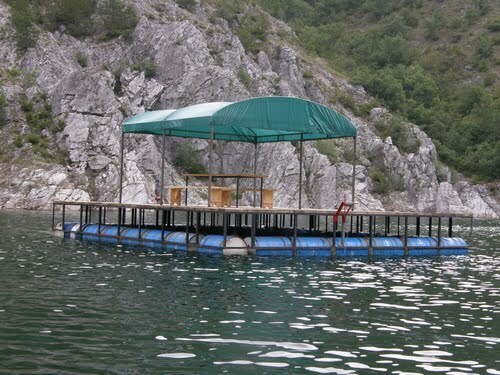 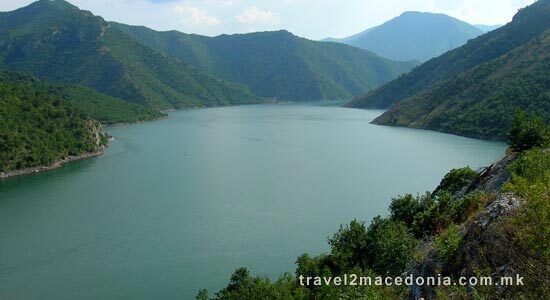 Can be visited from Skopje side and from Makedonski Brod. 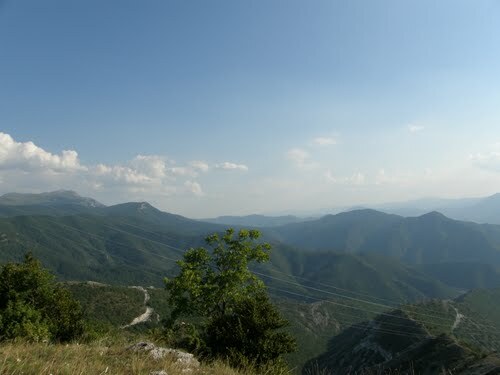 Have in mind that, there's no road connecting both sides. 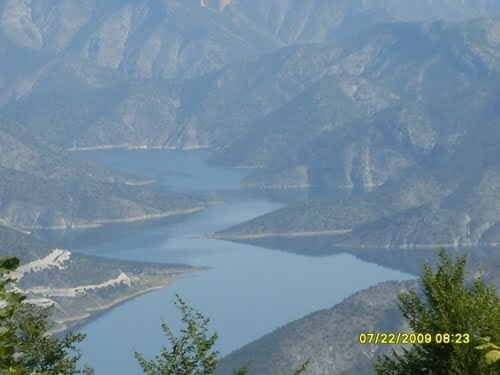 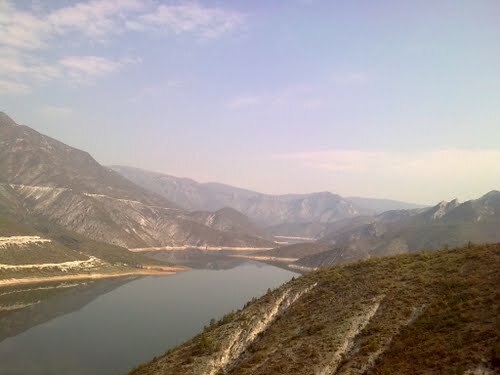 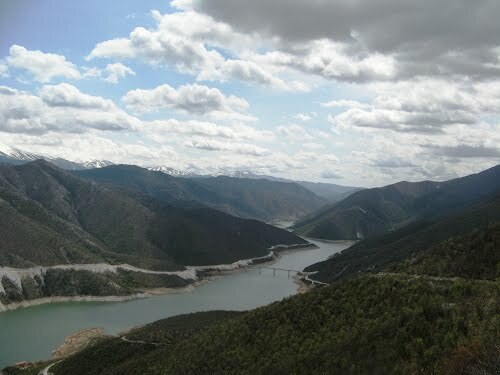 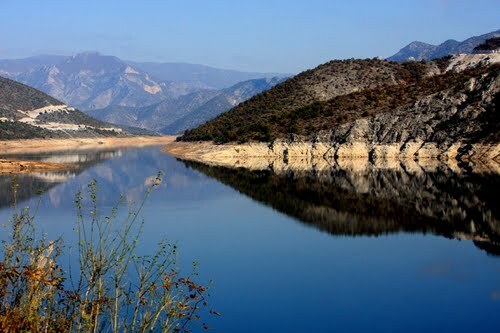 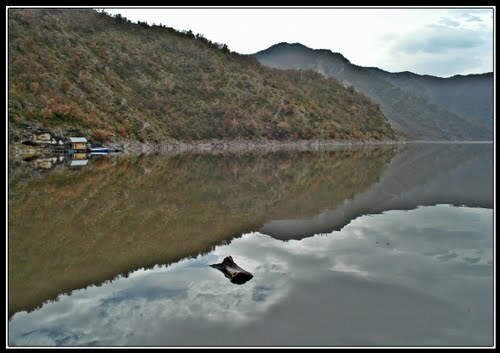 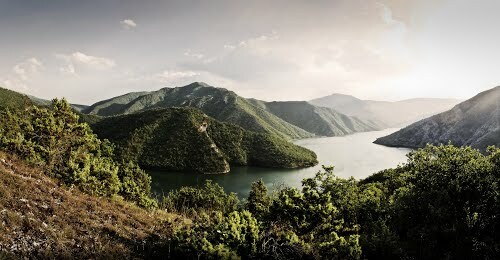 The newly-built artificial lake of Kozjak on the Treska River is the largest man made accumulation in Macedonia. 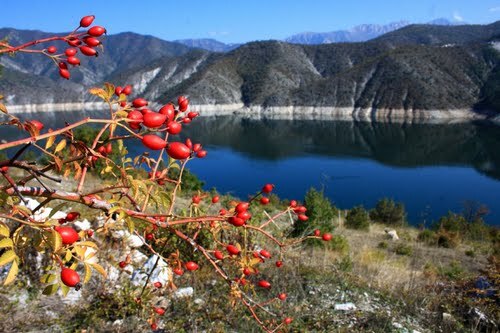 Local people have already started telling stories related to the lake: its construction, the fish that does not want to return to the river but immediately adapts itself to the new conditions etc. 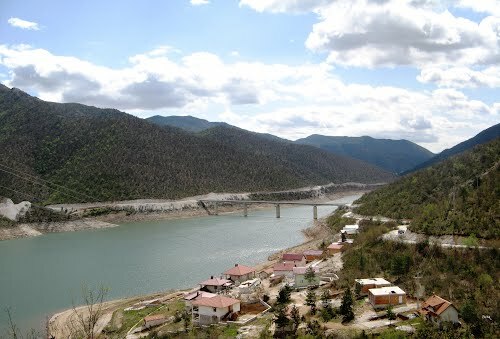 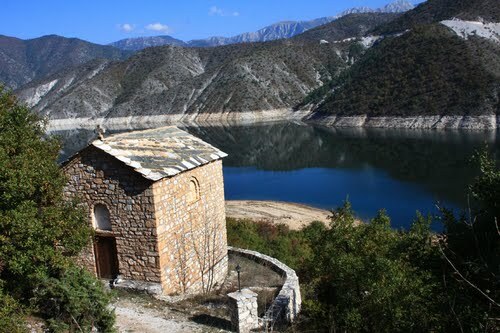 Kozjak Hydro Power Plant is a large hydroelectric power plant on the river Treska which creates an artificial lake Kozjak, the largest in Republic of Macedonia. 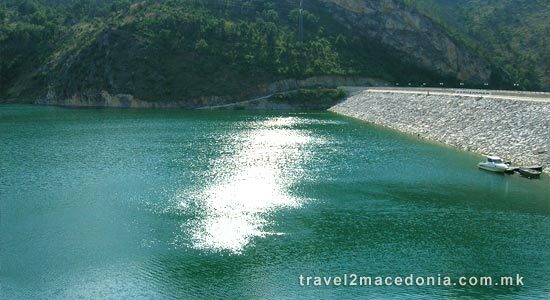 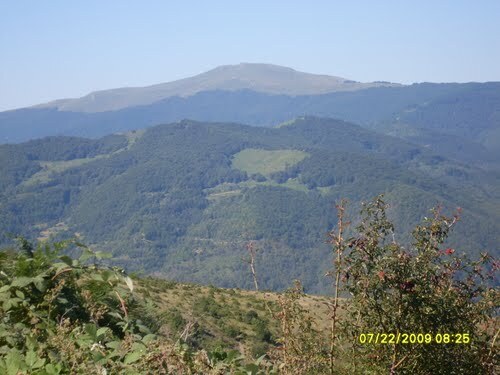 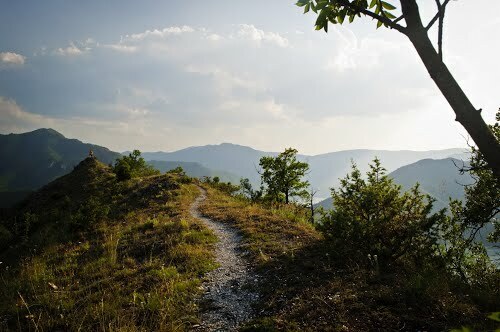 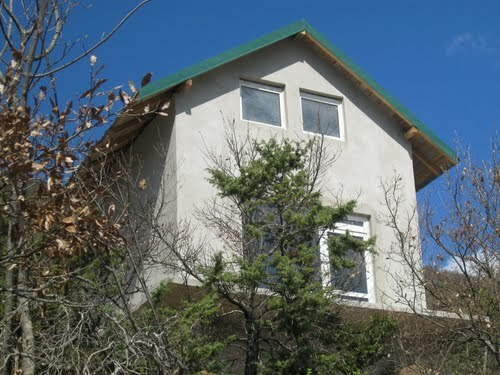 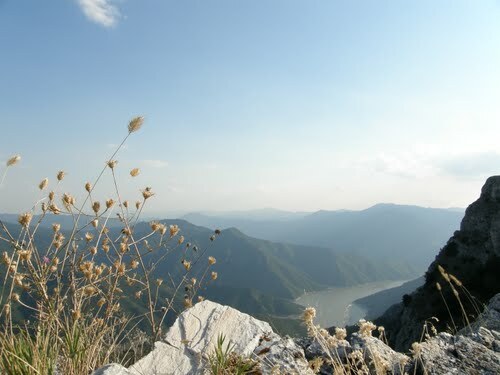 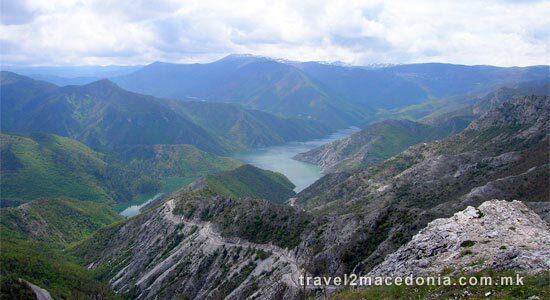 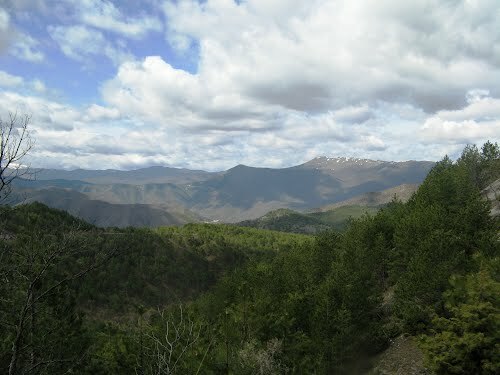 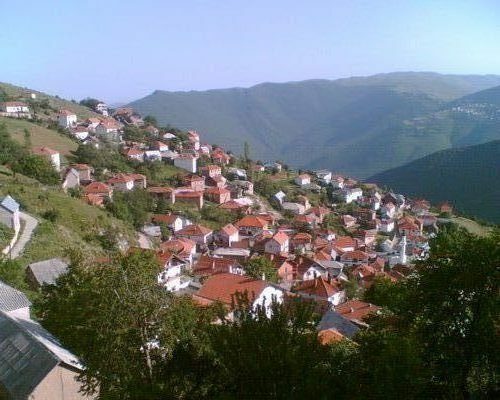 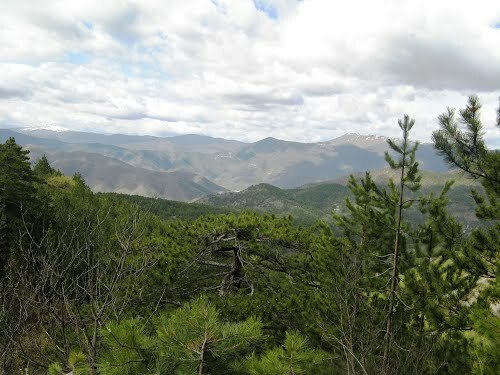 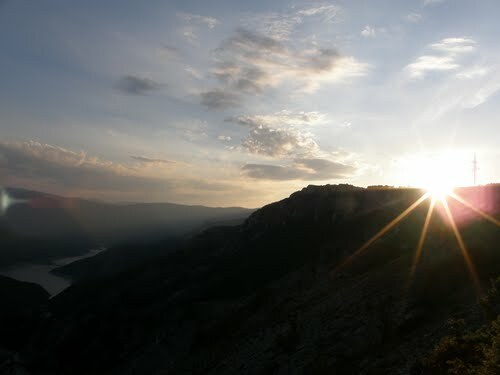 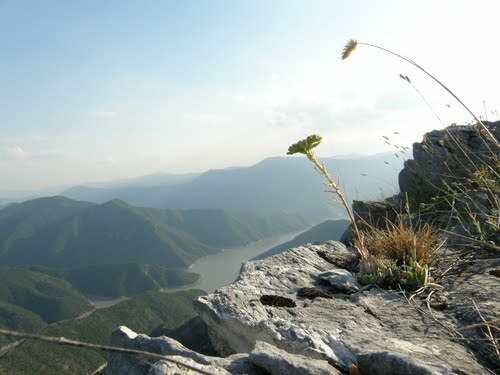 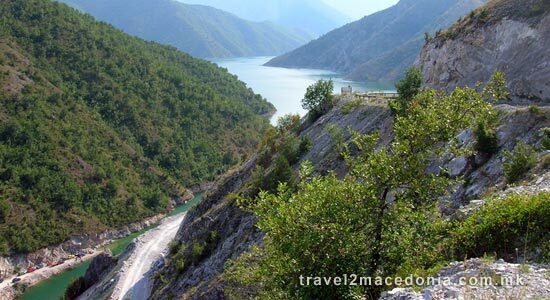 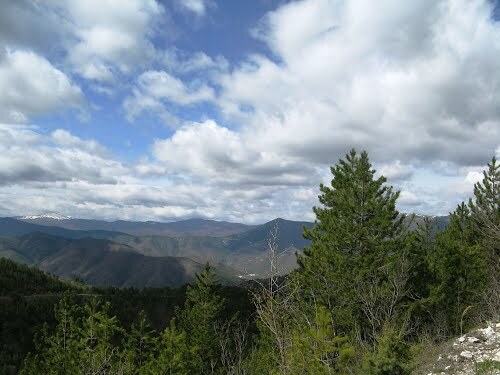 It is located in the western part of the country in the municipality of Makedonski Brod. 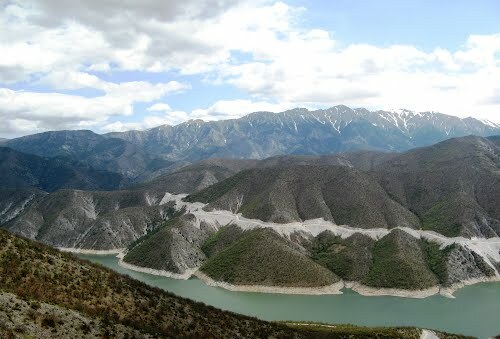 The power plant has two turbines with a nominal capacity of 41 MW each having a total capacity of 82 MW. 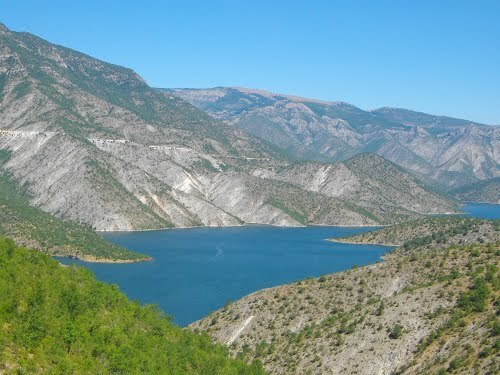 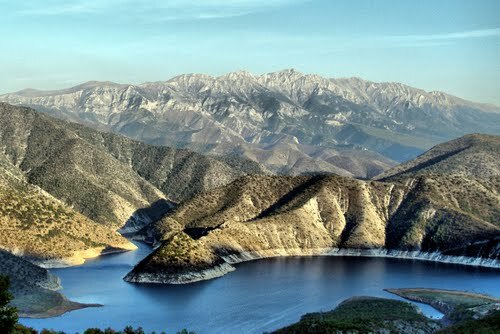 The lake is 32 km (20 mi) long, with maximum depth of 130 m (430 ft). 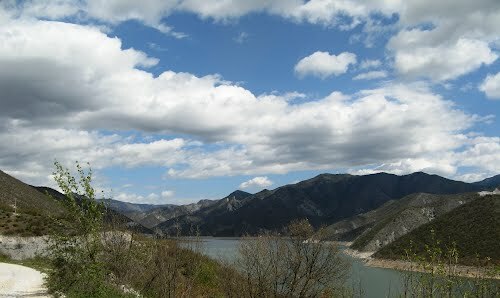 The maximum elevation of the lake is 469.9 m and it has a capacity of about 380 million m³ of water. 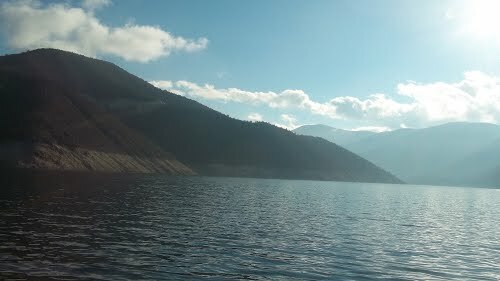 There is an abundance of fish in the lake. 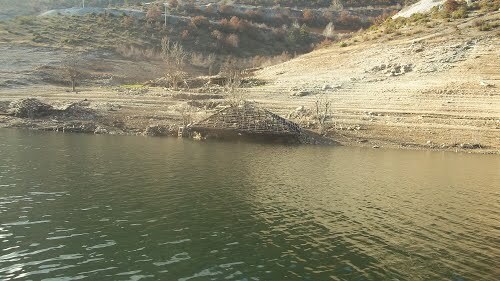 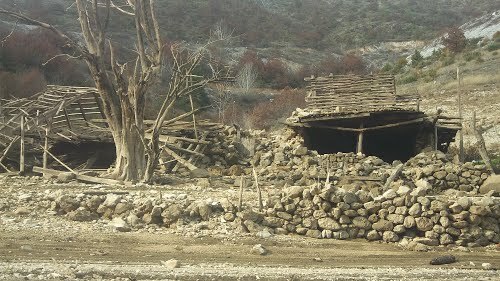 The construction of the dam started in August 1994. 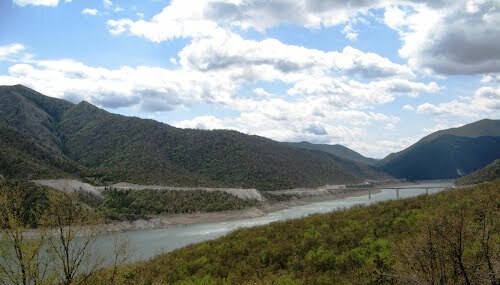 The reservoir started filling in May 2003, and the two power generators finally went online in July and September 2004.